So when I put the call out last week for links to your favorite parties you did NOT disappoint! I got TONS of emails with just as many amazing parties and had so much fun looking through them all. I decided to focus on Birthday Parties this go around, but have posts started for Fall Parties, Christmas Parties, Showers and Gender Reveals, MORE birthday parties and Every Day's a Party parties... so send me your party links if you haven't already. 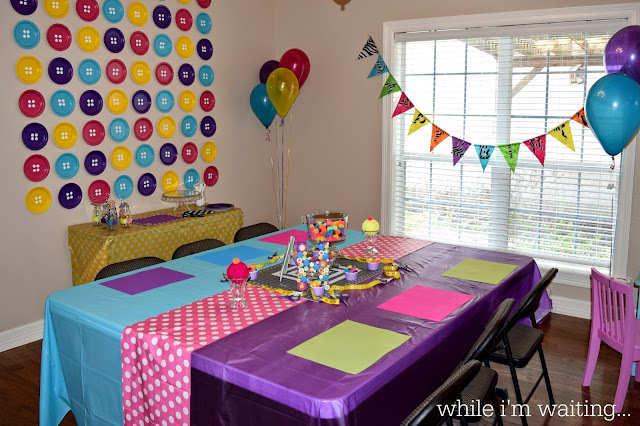 Also, if you sent me a link to a birthday party and it's not on today's post, then it will be on my next birthday party post :) So many parties, so little time! If you missed the memo... I'm starting a "It's My Party" series where I feature parties thrown by YOU! Send me an email with the subject "It's My Party - Party Name" and a link to your party and I'll be featuring them periodically! This baseball themed 30th Birthday party is summer PERFECTION! I love that it's themed, but still "manly" ;) And I am a total fan of the color scheme. The color scheme of this Planes, Trains and Automobile party was AWESOME, but I think the cloud that she made to fly paper airplanes through stole the show. HOW CREATIVE IS THAT?!?!?! How cute is the theme "Chugga Chugga Two Two"?!?!?! I love the creative spin on the train theme and how simple and age appropriate the entire party was. The details on this Muppet Party are on point and out of this world. The kissing booth SLAYS me! My best friend and I took sewing lessons together when we were in the 6th grade (maybe 5th?!?!?! I don't remember) and so this "Sew Fun" birthday party totally speaks to me. The details were AMAZING and can we talk about the thread spool necklaces?!?! I love that the girls sewed at the party as well. 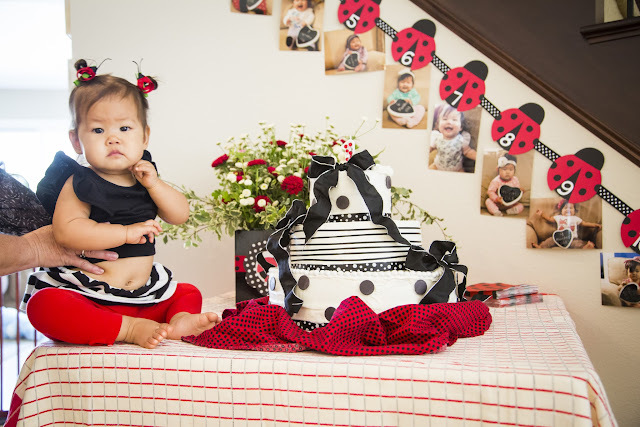 You need to check out this Ladybug Birthday Party if only to see the squishy baby tummy. I mean! I have a feeling a Baby Doll Party is in my future at some point, and love that she had the girls decorate a shirt for their dolls! 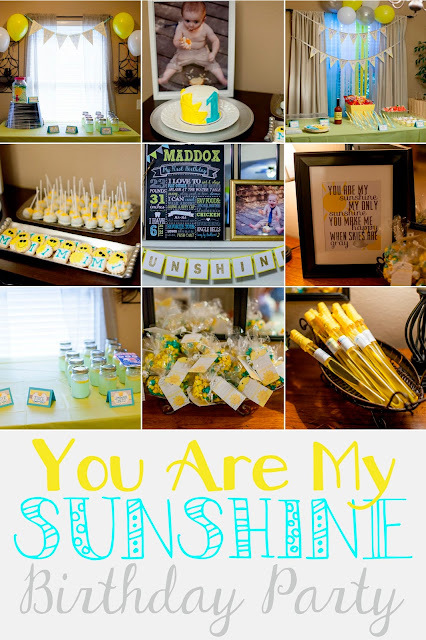 I love this You Are My Sunshine theme and colors - the mason jars are adorable! I think it's so sweet when parties are designed around something that the recipient really loves, in this case it was PlayDoh! And one of my favorite parts of the post was when she said that her friend always wraps the gift they bring to the party in accordance with the theme. How awesome is that?!?!?! 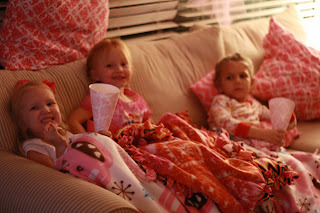 Abby hosted the most perfectly pink NonSleepover Pink PJ Party for her daughter and I loved everything about it. The pillows, the pjs, the decor and that the girls all made their own tie blankets. Awesome! Thank you so much to everyone who contributed a party link - I hope everyone finds a great idea (or two or three!) and feels a little extra festive today. Back tomorrow with Friday Favorites!!! First of all, I'm a little confused as to why you didn't ask me to participate. ;) Second of all, these mamas are AMAZING! SUCH CUTE PARTIES! Okay, I'm going to need you to get home ASAP so we can party plan :). This post makes me want to celebrate! They were all such cute ideas but I think the Play-Doh one was my favorite! Oh my goodness, that sewing party is TOO cute! Wow!!! That's all I can say!! Those parties are amazing!! Oh my gosh! I love all of these ideas! 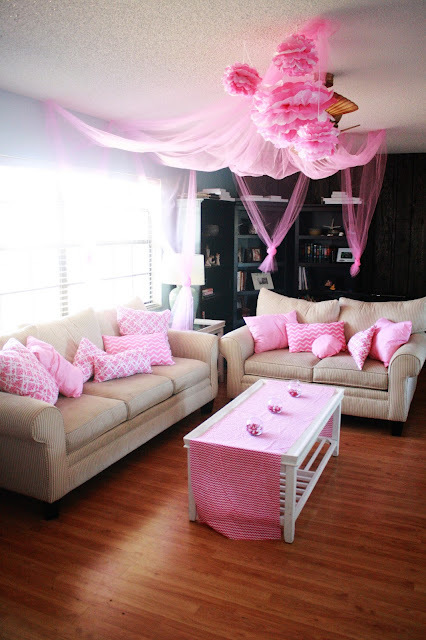 I am definitely going to have a baby doll party for one of my girls! What a great idea!! 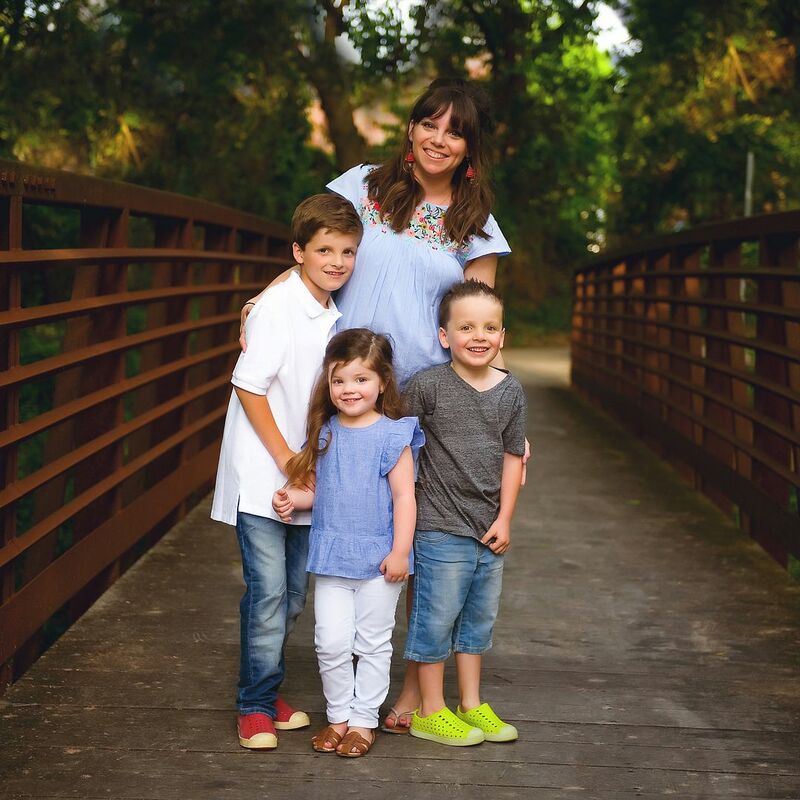 Oh my gosh, I am so honored that you featured my son's 1st and 2nd birthday parties! 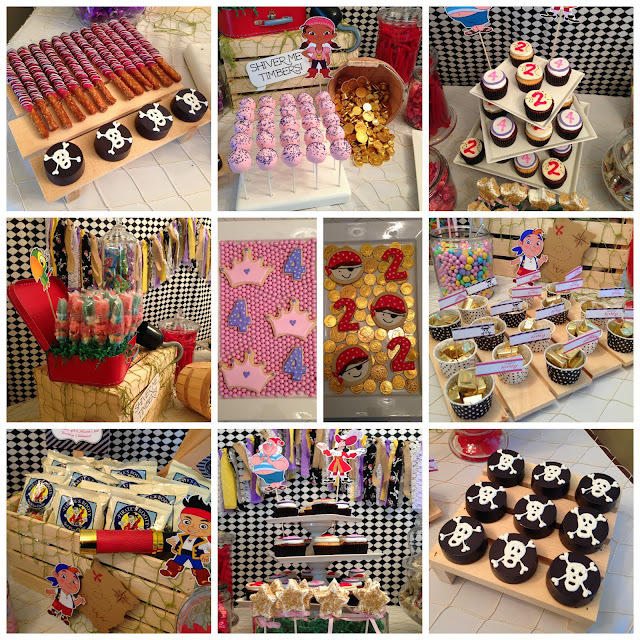 They were so much fun to plan and I know Mason and Griffin would LOVE a joint pirate and princess party! Thank you for sharing all of these. My son is OBSESSED with planes (the movie) now so these ideas are great! I love a good party, and wish I had the TIME or creativity to pull some of this off....but I always find myself panicking for perfection and the kids don't seem to care one bit about the big decor details. Next year, I am going EASY (wish I could remember that in May)! So many cute, creative ideas! I bookmarked the pirate party because I have a feeling that's going to be requested very soon. Thanks for sharing! 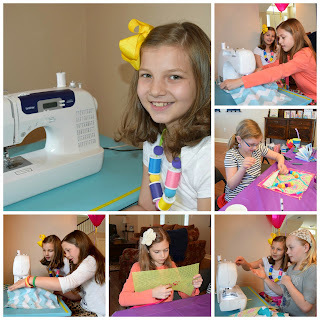 Thank you so much for featuring Holden's sewing party!!! The theme was her idea and this non-sewing mama was wondering if I could pull it off. Holden was over the top excited with everything but mostly because she got to share her new love of sewing with her friends. Everyone had SEW much fun! :) Thanks again for the feature! Ah love the 30th idea! My husband's will be coming up soon and I know I gotta go all out! I love the Pirates & Princesses party! I missed the first call for parties, so I'll have to send you links soon! Oh cool...didn't think my email went through :) Thanks for featuring my little one's Sunshine Party. So much fun! I can't wait to check out these other parties...parties are so fun to throw! Oh and thanks again for the book club ideas...I'm going to start one with my oldest! Obsessed with this post. I spent over a hour looking through these awesome parties! I can't wait until the next one! Wow! What a great idea! Thank you for all this birthday party inspiration! There are so many great themes to help me plan my son's next party. I love this! The Muppet Party is so cute! Thanks for all the great ideas! These are all soooo adorable! I am trying to plan 2 bday parties right now so these definitely offer up some great ideas!!! Hope you are having a fabulous vacay! Hi Andrea! I am so honored and so excited you linked to my son's Planes, Trains and Automobiles party! :) I've been so busy the past few days that I was just getting caught up on your blog on our 5 hour car ride home from a wedding this weekend. Perfect timing to be able to read and look through all the parties. They are all so fun and creative. So many good ideas! I love party posts! Excited for this series! So many cute parties! Thanks so much for featuring our Baseball Themed Party and Chugga Chugga Two Two Party! Looking forward to future "It's My Party Posts"! Hope you had a fun and relaxing vacation!